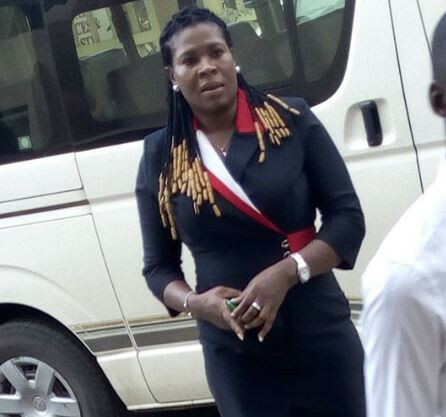 The Lagos Zonal office of EFCC, on January 15, 2018 arraigned one Blessing Aishatu Arowojobe before Justice Mojisola Dada of the Special Offences Court sitting in Ikeja, Lagos on a one-count charge bordering on obtaining money by false pretence to the tune of N7,065,000 (Seven Million and Sixty Five Thousand Naira) only. The petitioner alleged that Arowojobe, approached him with a business proposal sometime in January 2018. He further alleged that he later transferred a sum of N7, 065,000 to the defendant in February 2018 for the procurement of ‘garri’and cassava from Edo State. The defendant, however, allegedly diverted the money to her personal use. The count reads: "That you, Blessing Aishatu Arowojobe, between February 3 and February 22, 2018 at Lagos, within the Ikeja judicial Division, by false pretence and with intent to defraud, obtained the sum of N7, 065,000 (Seven Million, and Sixty-Five Thousand Naira) from one Tim Onyeator by falsely representing to him that it was the cost of ‘garri’ business and purchase of plots of land for cassava plants, which pretence you knew to be false." The defendant pleaded “not guilty” to the charge when it was read to her. In view of her plea, the prosecuting counsel, Franklin Ofoma, asked the court for a trial date and also prayed that the defendant be remanded in prison custody. Counsel for the defendant, G.A. Elebhose, prayed the court for a short date to allow him file and serve a bail application on behalf of his client. Consequently, Justice Dada adjourned the matter to January 23 and February 11, 2019 for "hearing of the bail application and commencement of trial. The defendant was remanded in the EFCC custody.